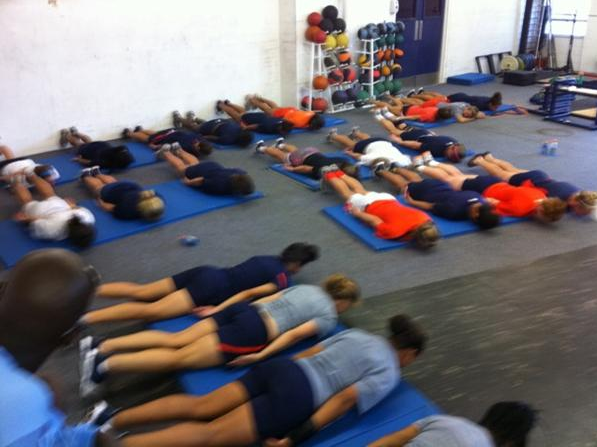 The entire Auburn soccer team went planking Friday. Auburn goalie Amy Howard lasted the longest, planking for a whopping 8 minutes and 32 seconds. Hope Solo who? Nosa who? I’m pretty much ready for planking to die in a fire. They are not really Planking @George that is a Workout for your abs. Feet, hands and chest off the ground. Works best if you have hands out front though. Not as good as Reggie Brown planking.